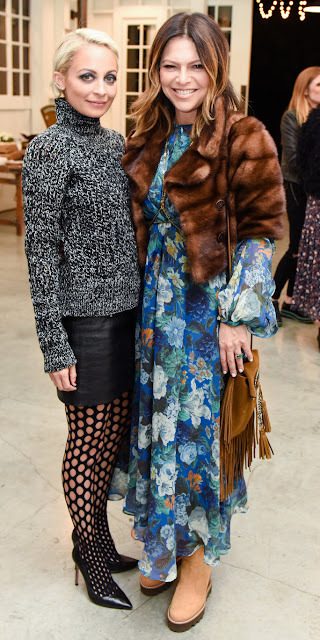 Nicole Richie was in attendance (17th Novermber) to celebrate rising talents at CFDA with FORWARD by Elyse Walker event in Los Angeles. On the evening Nicole wore a Marni sweater, Saint Laurent skirt and a pair of fishnet tights by Proenza Schouler. Fishnet tights are a huge trend coming through for SS16, worn with over the knee boots by day and classic heels by night they are an essential piece for your SS16 look. Nicole's Proenza Schouler fishnet tights may be sold out worldwide but you can still get her look and whats even better 'for less' with these top picks ..
1. Missguided oversized fishnet tights. 2. Emilio Cavallini wide hole fishnet tights. 3. ASOS oversized fishnet tights.